Dr. Deborah Brener has taught piano, theory, music history and world music at Golden West, Rancho Santiago, Irvine Valley and Fullerton Colleges for a number of years; however her first love has been the running of her private studio. 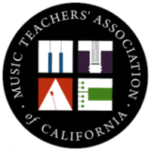 As a member of MTAC and MTNA, her students have flourished in festivals, Certificate of Merit, Composers Today, and Music Students Service League. During the summers she places students into the National Guild to insure that practicing continues and students remain at work during the time when they have more practice opportunity. The joy of teaching generations of students and seeing their children also in lessons is worth the time and dedication it takes to do good work. Deborah also continues to “keep striving for excellence”, a motto she learned from her own piano teacher from childhood. 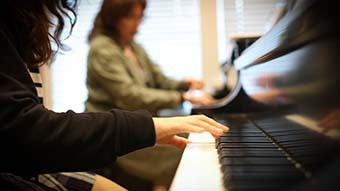 The workshops, studio recitals, and technology based instruction for theory, ear training and technique are all meant to keep students moving in the direction of becoming well rounded musicians who will have the gift of music for a lifetime! Deborah has a Bachelor of Music in Piano Performance from Cal State Long Beach, Master of Music in Piano Performance/Pedagogy from Cal State Fullerton and PhD in Historical Musicology/Education from the Claremont Graduate School. 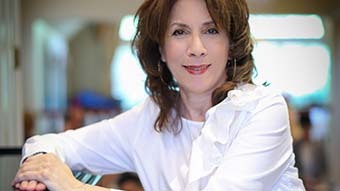 Deborah has studied with noted pianists Eduardo Delgado, Daniel Pollack, M’lou Dietzer and Nina Scolnik.